Did you know pandas were just huge cats posing as pandas? Technically, pandas are a kind of bear. 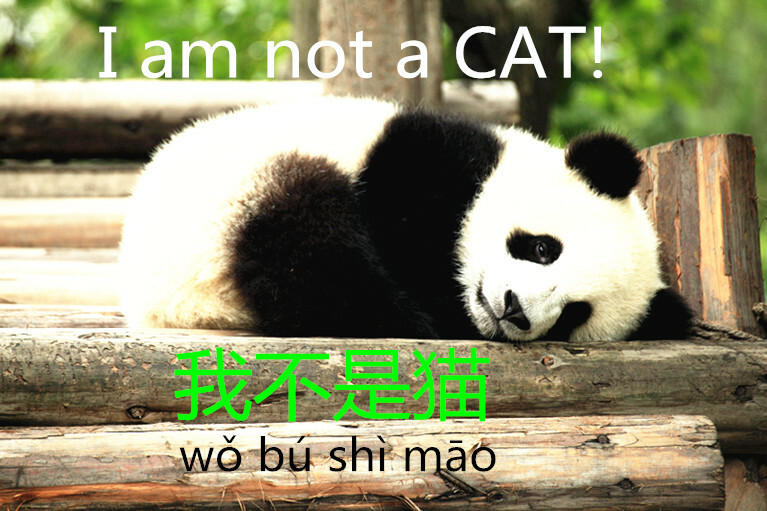 But since they sort of look like cats and behave like cats , the Chinese call pandas 熊猫, literally a cat like bear. wǒ yǒu xióng māo yǎn. 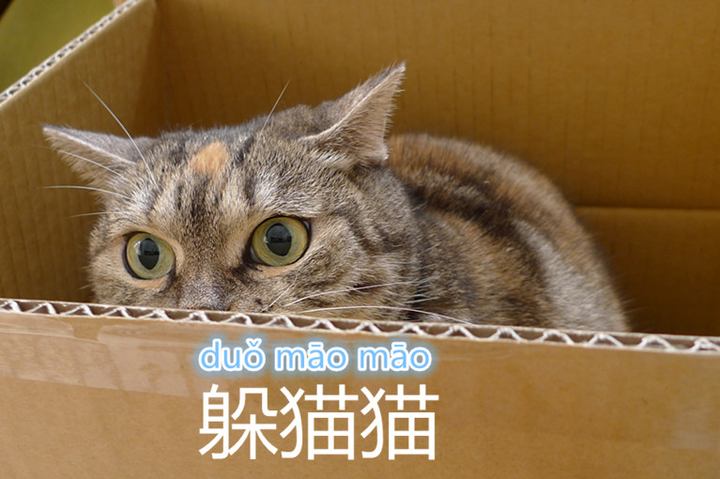 Why did the Chinese call the game “hide-and-seek” 躲猫猫 duǒ māo māo, which literally means “to hide the cat”?Why choose to hide the cat rather than to hide a rabbit, or a dog? It’s simple to understand if you have a cat in your home. Cats like to play hide-and-seek. If you run in front of a cat, scare it or touch it lightly, it will run away and hide from you. But later on, it’ ll come to find you. Just like playing hide-and-seek right? So that’s why this game is called 躲猫猫 duǒ māo māo in China. 躲猫猫 is mostly used when you talk about playing hide and seek with kids. The formal way to say hide-and-seek is 捉迷藏 zhuō mí cáng, but it’s not as fun. xiǎo hái zi zuì xǐ huan wán duǒ māo māo le. The kids like to play hide-and-seek. Bet you didn’t see that one coming! 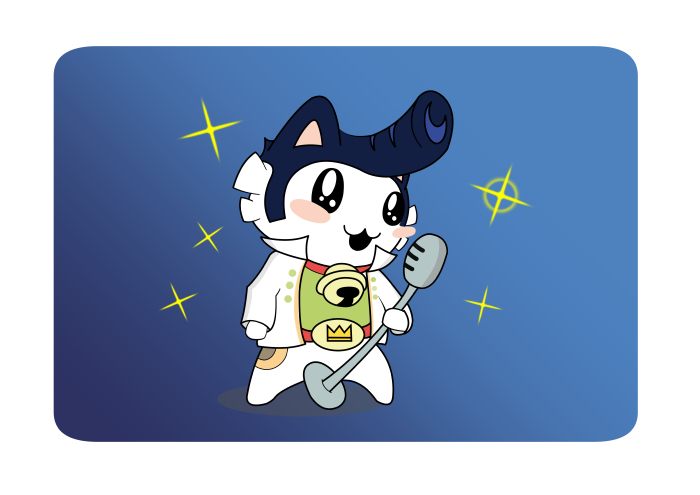 Elvis Presley’s Chinese name is 猫王 māowáng, literally the King of Cats. As far as names goes, that one rules! Elvis Presley basically earned this nickname because he dances like a cat and evokes a cat to some and he has lots of fans in China. māo wáng zài zhōng guó hěn shòu huān yíng. Elvis Presley is very popular in China. Here’s an article where you’ll find another Elvis Presley cat and more cats impersonnating famous people. 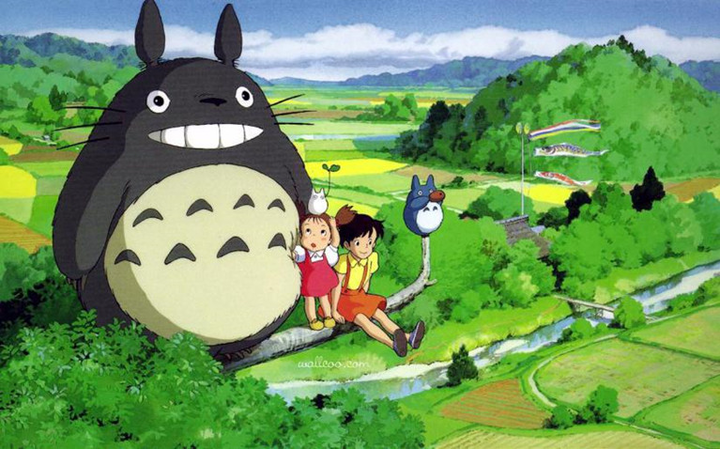 You all know that lovable grey ball of fur with a huge grin in Miyazaki Hayao’s animated film “My Neighbor Totoro” as Totoro, but can you guess what the Chinese call him? Yup, Totoro’s name in Chinese is Dragon Cat. We get the cat part, with the fur and the whiskers and what not, but the dragon part? Or is his name supposed to be Chinchilla, which are also called 龙猫 in Chinese? He does kind of look like a giant Chinchilla… If you have a clue why Totoro is named like that in China, we want to know! wǒ zuì xǐ huan de dòng wu shì lóng māo. My most favorite animal is Totoro. Wondering why Chinese people call an owl 猫头鹰, an eagle with a cat head? Just check out these crafty pictures and we’re sure you’ll figure it out. It’s an owl? It’s a cat? It’s a meowl! Half cat, half owl, gotta love these Meowls! They look so surprisingly natural; maybe the Chinese are onto something here? 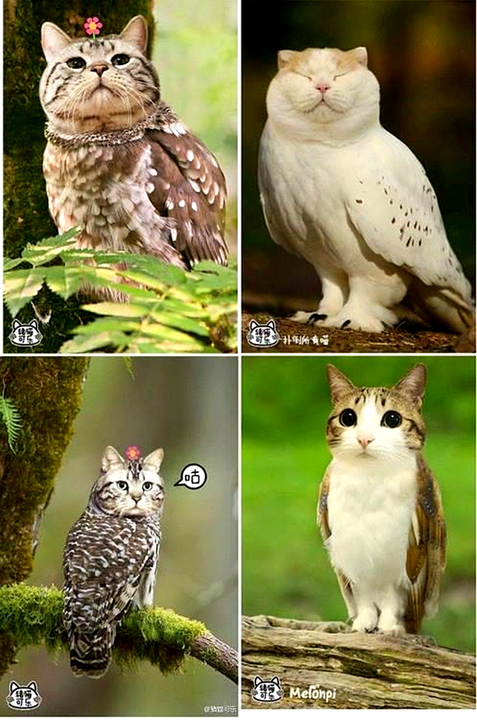 Check out Weibo user Zhumaokele for more Meowl pictures and awesome photo ops involving cats and strange oufits. māo tóu yīng chī lǎo shǔ. What do you think of these 5 Chinese words? It’s surprising to find cats in them, right? Cats play an important role in Chinese “animal culture”. 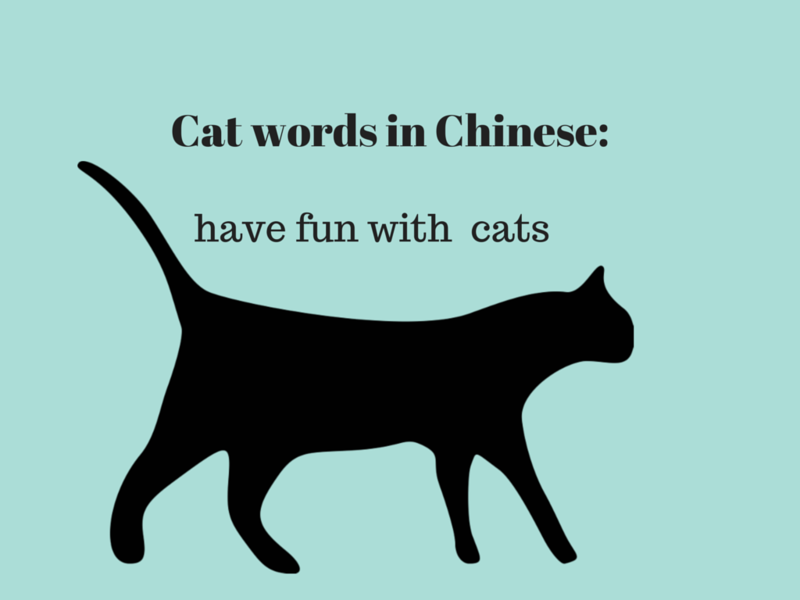 The Chinese not only like to use cat in a metaphorical way to express human feelings but they’ve also liked to create many words with the character for cat in it. Funny, isn’t it? Another one is 夜猫子, which refers to someone who often stay up late. You’re right, this one is also useful! Thank you for adding it!